I accidentally learned on May 8th that it was the last day of Google Summer of Code submissions. I was kinda considering applying before, but I didn't really know whether I felt like doing that. Well, deadlines have this weird property of making me want to do something (do you have the same feeling sometimes ? ^_^), so I got to a computer and wrote an application. At first I thought I'd write at least 3 applications (that would be a much safer "strategy"), but when I was thinking what kind of stuff can I do, one idea (RbGame) felt to me so awesome that it made all my other ideas look boring and uncool. So I felt like, I don't really want to do X (even if X felt cool just a few hours ago), as RbGame is so much cooler than X, and if RbGame gets rejected and some less interesting idea gets accepted I'll be feeling bad all summer working on something that's not as cool as it could be ^_^. Well, at least it's cooler than all other ideas that seem at least somewhat relevance to the Google Summer of Code. I do have a few that are even nicer than RbGame, maybe I'll write about them sometime later ^_^. Very short descriptiom - RbGame would let me port jrpg to Ruby, and because Ruby is so much better than Python, it would let me make it the best Japanese learning game ever made. (well, it is much better than KiCL and Slime Forest already, but anyway ^_^). So, like, people would play for 5 minutes and they would be able to speak Japanese. Well, maybe not that good but close. 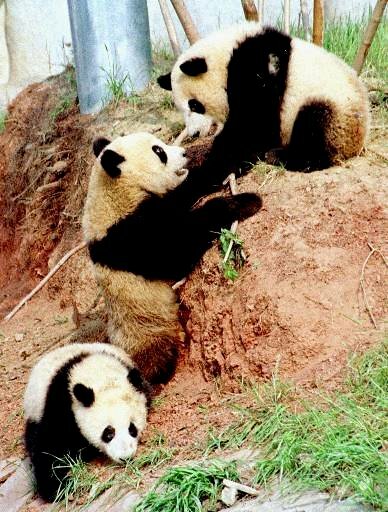 Oh, and it would make baby pandas happy. And here's the longer description, directly from the application. required to mitigate the issue. to develop hundreds of great Open Source games. by few games or other applications. library for Ruby that can directly compete with PyGame. The codebase is probably going to be based on Ruby/SDL.